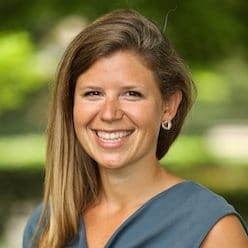 Laura Rosenberger is the director of the Alliance for Securing Democracy and a senior fellow at The German Marshall Fund of the United States (GMF). Before she joined GMF, she was foreign policy advisor for Hillary for America, where she coordinated development of the campaign’s national security policies, messaging, and strategy. Prior to that, she served in a range of positions at the State Department and the White House’s National Security Council (NSC). As chief of staff to Deputy Secretary of State Tony Blinken and as later, then-Deputy National Security Advisor Blinken’s senior advisor, she counseled on the full range of national security policy. In her role at the NSC, she also managed the interagency Deputies Committee, the U.S. government’s senior-level interagency decision-making forum on our country’s most pressing national security issues. Laura also has extensive background in the Asia-Pacific region, particularly Northeast Asia. She served as NSC director for China and Korea, managing and coordinating U.S. policy on China and the Korean Peninsula, and in a variety of positions focused on the Asia-Pacific region at the Department of State, including managing U.S.–China relations and addressing North Korea’s nuclear programs. She also served as special assistant to Under Secretary of State for Political Affairs Bill Burns, advising him on Asia-Pacific affairs and on nonproliferation and arms control issues. Laura first joined the State Department as a presidential management fellow. 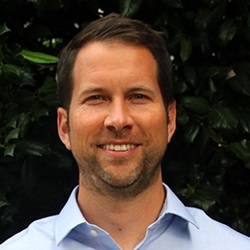 Jamie Fly is a senior fellow and director of the Future of Geopolitics and Asia programs at The German Marshall Fund of the United States. He served as counselor for Foreign and National Security Affairs to Senator Marco Rubio (R-FL) from 2013–17, serving as his foreign policy advisor during his presidential campaign. Prior to joining Senator Rubio’s staff in February 2013, he served as the executive director of the Foreign Policy Initiative (FPI) from its founding in early 2009. Prior to joining FPI, Fly served in the Bush administration at the National Security Council (2008–09) and in the Office of the Secretary of Defense (2005–08). He was director for Counterproliferation Strategy at the National Security Council, where his portfolio included the Iranian nuclear program, Syria, missile defense, chemical weapons, proliferation finance, and other counterproliferation issues. In the Office of the Secretary of Defense, he was an assistant for Transnational Threats Policy, where he helped to develop U.S. strategy related to the proliferation of missiles as well as nuclear, chemical, and biological weapons. For his work in the Department of Defense, he was awarded the Office of the Secretary of Defense Medal for Exceptional Public Service. Fly received a B.A. in international studies and political science from American University and an M.A. in German and European studies from Georgetown University. 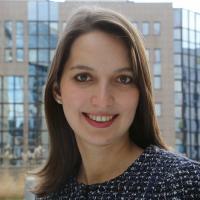 Kristine Berzina is a senior fellow at the Alliance for Securing Democracy in GMF's Brussels office. She focuses on U.S.–EU relations, NATO, and energy topics. Berzina, who lived in Moscow part-time from 2014 until 2016, also analyzes Russia’s foreign policy and writes about Baltic foreign policy and security issues. Berzina appears frequently in international media, including NPR, Deutsche Welle, Euronews, The Wall Street Journal, and Agence France-Presse. Jessica Brandt is head of policy and research for the Alliance for Securing Democracy and a fellow at the German Marshall Fund of the United States. She was previously a fellow in the Foreign Policy program at the Brookings Institution, where her research focused on multilateral institutions and geopolitics, and where she led a cross-program initiative on Democracy at Risk. Jessica previously served as special adviser to the president of the Brookings Institution, as an International and Global Affairs fellow at the Belfer Center for Science and International Affairs at Harvard University, and as the director of Foreign Relations for the Geneva Accord. She is a member of the Advisory Council of the American Ditchley Foundation, a term member of the Council on Foreign Relations, and a David Rockefeller Fellow of the Trilateral Commission. Rachael Dean Wilson is the head of external affairs at the Alliance for Securing Democracy. Rachael honed her strategic communication skills while serving in senior roles on Capitol Hill and political campaigns, as well as working in corporate communications and PR consulting. Most recently, Rachael served as communications director to Senator Jon Kyl and prior to that, she was a regional PR Director at Whole Foods Market where she managed strategic, crisis and consumer communications for the company's Mid-Atlantic and South regions. Rachael worked for the late Senator John McCain for six years, most recently serving as his Senate communications director and as an adviser to his reelection campaign in 2016. From 2014 to 2015, Rachael was the vice president of public relations at a boutique communications firm, where she built and managed the PR team, worked with a broad range of clients and developed new business. From 2010 to 2014, she worked as Senator McCain’s press secretary in the Senate. She began her career as a press assistant on McCain’s 2008 presidential campaign. Rachael received a bachelor’s degree in communications and public service from the University of Pennsylvania. 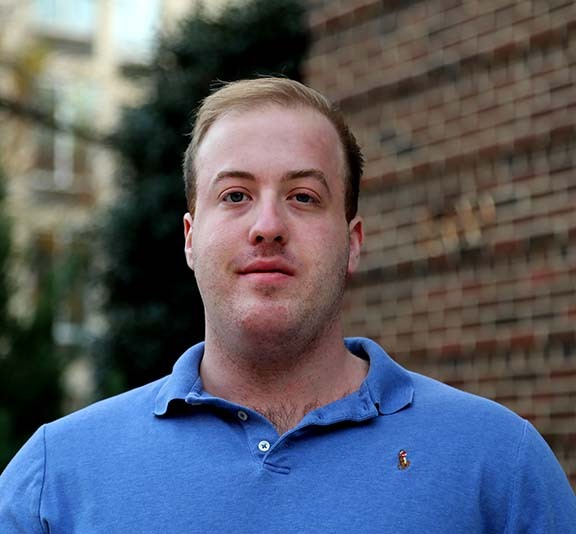 Bradley Hanlon is a research assistant with the Alliance for Securing Democracy at GMF. Prior to joining GMF, he consulted for the Institute for the Study of War on Russian activity in the Middle East and North Africa. Earlier, he worked as a civilian research assistant at the National War College, and as an intern at the State Department’s Bureau of Conflict and Stabilization Operations. 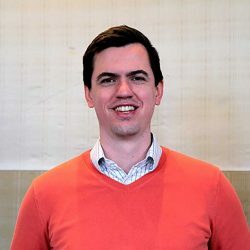 He graduated from the University of Pittsburgh in 2016 with a bachelor’s degree in history and international and area studies and a minor in Russian and East European studies. Brad studied Russian at the University of Pittsburgh and at the International University in Moscow. He earned his master’s degree in security policy studies from the George Washington University’s Elliott School of International Affairs. Joshua Kirschenbaum is a senior fellow at GMF’s Alliance for Securing Democracy, focusing on illicit finance. 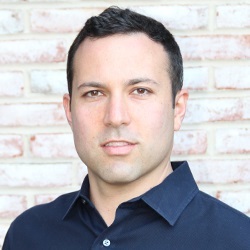 Josh joined GMF from the Treasury Department, where he worked from 2011 to 2018. He served as acting director of the Office of Special Measures at Treasury’s Financial Crimes Enforcement Network, overseeing international money laundering investigations under Section 311 of the USA PATRIOT Act. Previously, Josh worked on Iran sanctions at Treasury’s Office of Foreign Assets Control. He received a master’s degree in international security from Georgetown University and a bachelor’s degree in public policy from Northwestern University. 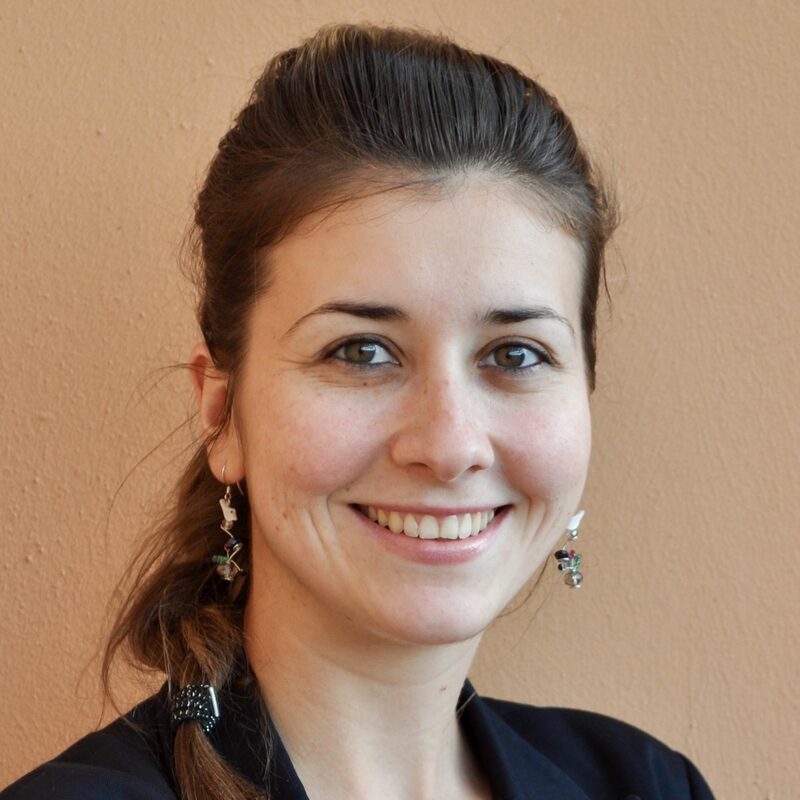 Nad’a Kovalcikova is a program manager at the Alliance for Securing Democracy in GMF's Brussels office. While working on ASD’s European outreach, she focuses also on transatlantic cooperation, NATO, EU – U.S. relations and emerging security challenges. In addition, she analyses information operations, efforts to counter disinformation, and threats to democracy. She has developed her expertise through working at NATO, European Parliament, French and Canadian embassies, American Field Service, and several NGO and think thank projects in Belgium, Canada, France, and Slovakia. Nad’a Kovalcikova obtained her PhD. in international relations with a focus on security threats, and masters’ degrees in politics and government, European affairs, and international economic relations. In addition to being a native speaker of Slovak, she is fluent in English, French, and Czech, speaks Spanish, and has a basic knowledge of German. 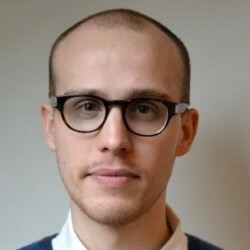 Thomas Morley is a research assistant with the Alliance for Securing Democracy at GMF. Prior to joining GMF, he worked as a consultant with Sayari Analytics. Earlier, he worked as a program assistant at Yale University European Studies Council’s Russian Studies Program. He graduated from Tufts University in 2014 with a bachelor’s degree in political science and Russian and Eastern European Studies. He studied Russian at Tufts University and at Saint Petersburg State University in Saint Petersburg. He received his master’s degree in European and Russian Studies from Yale University in May 2016. He speaks English and Russian fluently, and has a working knowledge of German, French, Spanish, Polish, Ukrainian, and Swedish. 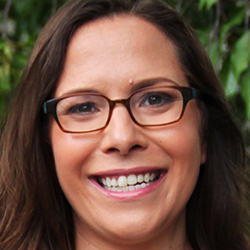 Christina Revilla Chacon is a program assistant with the Alliance for Securing Democracy at the German Marshall Fund. Prior to joining GMF, she worked as a policy fellow at RespectAbility, researching labor and education policy for people with disabilities. Earlier, she worked as a research assistant for MP Rosie Duffield in the UK House of Commons. She also dedicated her time to serving U.S. Congressman Stephen F. Lynch as an intern in his DC office. Christina graduated from the Catholic University of America with a bachelor’s degree in Politics with concentrations in both American Government and International Relations. She is fluent in English and Spanish and has a working knowledge of French. 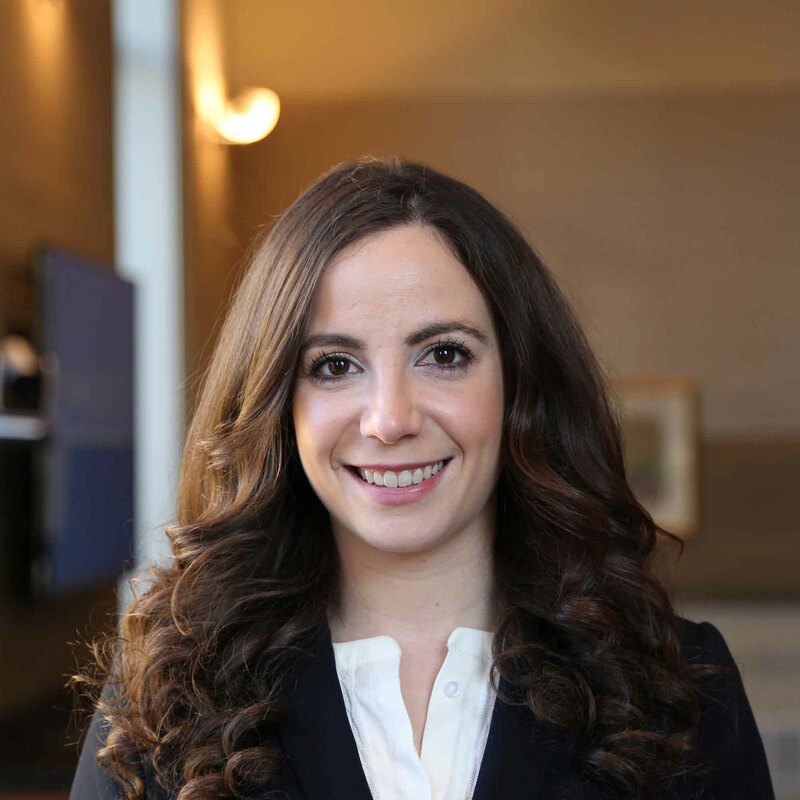 Miriam Roday is a program assistant with the Alliance for Securing Democracy at The German Marshall Fund of the United States (GMF). Prior to joining GMF, Miriam worked at the Hoover Institution for former Secretary of State Condoleezza Rice researching a range of national security issues related to cyberspace, China and Russian affairs. Earlier, she interned with the House Ways and Means and Senate Homeland Security and Governmental Affairs Committees. Miriam was also a member of the Senate Judiciary’s oversight team investigating Russian interference in the 2016 Presidential election. She graduated from Bard College with a bachelor’s degree in Global and International Studies, and wrote her senior thesis on Russian meddling in the U.S. presidential election. 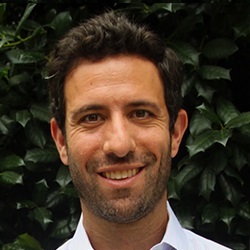 David Salvo is the deputy director of GMF’s Alliance for Securing Democracy. He has spent his entire career focused on U.S. policy toward Europe and Eurasia, with a particular concentration on Russia. 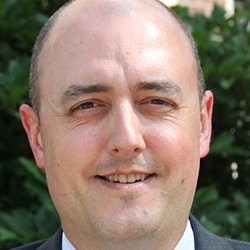 Prior to joining GMF, Salvo was a Foreign Service Officer at the State Department, serving most recently as the deputy secretary of state’s policy advisor for Europe, Eurasia, and international security issues. Salvo also advised senior-level State Department negotiators on the protracted conflicts in the South Caucasus, worked on U.S. policies toward NATO and the Organization for Security and Cooperation in Europe, and served overseas in Russia and Bosnia and Herzegovina. He speaks Russian and Serbo-Croatian and has a basic knowledge of French. Salvo received his master’s degree from Georgetown University’s Center for Eurasian, Russian, and East European Studies and a bachelor’s degree in government and Russian from Georgetown. He is an avid music lover and plays in several DC-area bands, including a tribute to the nationally renowned rock band Phish. Bret Schafer is the Alliance for Securing Democracy’s social media analyst and communications officer. He has a master’s in public diplomacy from the University of Southern California, and a BS in communications with a major in radio/television/film from Northwestern University. As an expert in computational propaganda, he has appeared in the New York Times, USA Today, the Wall Street Journal, and the Los Angeles Times, and he has regularly been interviewed on NPR, PBS, CNN, and CBS and BBC radio. Prior to joining GMF, he spent more than ten years in the television and film industry, including stints at Cartoon Network and as a freelance writer for Warner Brothers. He also worked in Budapest as a radio host, in Berlin as a semi-professional baseball player in Germany’s Bundesliga, and in Moscow as an intern in the Public Affairs Section at the U.S. Embassy in Russia. 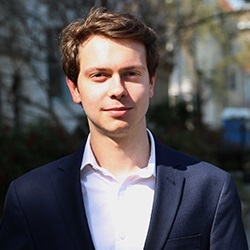 Etienne Soula is a research assistant with the Alliance for Securing Democracy in GMF’s Brussels office. Prior to joining GMF, he was a research assistant with the Carnegie Endowment for International Peace’s Europe Program in Washington DC. His research there focused on foreign interference in European democracies. He has published several articles on Russian destabilization efforts and Chinese investments in Europe. Earlier, Etienne worked as an intern at the Hudson Institute and at NATO. In 2017, he completed a dual master program in international affairs at American University and the Université Libre de Bruxelles. He also holds a Bachelor of Laws from the University of Nottingham and studied in Singapore for a year. A French national, Etienne is also fluent in German.